In 2010, Jean-François de Lavison launched Ahimsa Partners SA with the objective to take part in setting up a global action for health and contribute to promoting dialogue amongst health decision-makers around the world with the objective to bridge initiatives and reduce the gap between the most privileged and underprivileged populations. He is advising the main Global Health players around the world. In order to remain in direct touch with the realities on the ground and work in the field of medical anthropology, he created in 2012 a new endowment fund: Ahimsa Fund, with the objective to address health issues for the most underprivileged in the world. Formerly Jean-François has worked as Vice President for International Development at Institut Mérieux during 29 years, where he held several international positions and acquired unique skills in the field of Global Health. 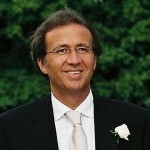 He was Treasurer of Foundation Merieux during 5 years and is still President of the Bioforce Institut in Lyon.